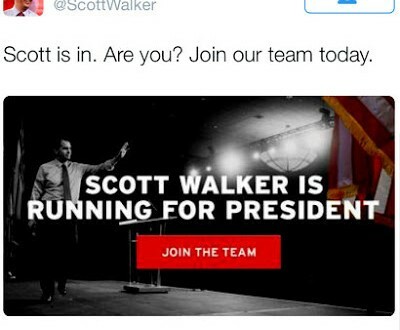 Scott Walker Jumps The Gun - Joe.My.God. 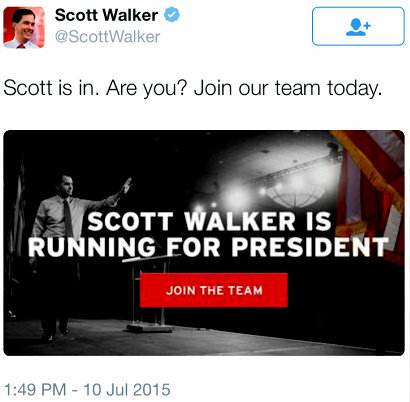 Scott Walker isn’t due to formally announce his candidacy until Monday, but yesterday afternoon his team fired out the above tweet. The tweet was deleted after brief firestorm of questions across Twitter.